Your website is the front door to your business. A lost or damaged website can drastically and immediately affect your ability to make money. Protect it! 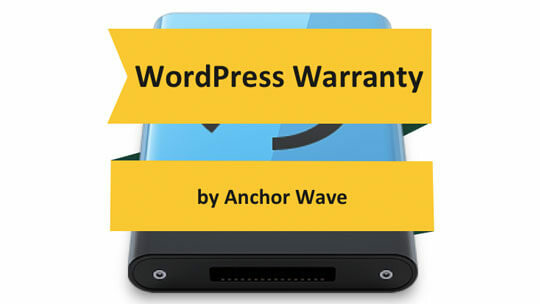 Enroll in the Anchor Wave WordPress Warranty program to ensure your site is up-to-date and protected against damage and loss. Our WordPress Warranty members take advantage of the program’s many features including unlimited technical support, training and updates. Ongoing maintenance of a website’s performance should be easy for you, and the long-term value of a well-protected website is the peace of mind you have in knowing that site data is protected and technical support expenses are managed! This is the only website warranty available for WordPress that combines all the features you need to keep your website and business protected. Please fill out the following form and we will contact you for payment information. Are there areas of concern with your website currently?